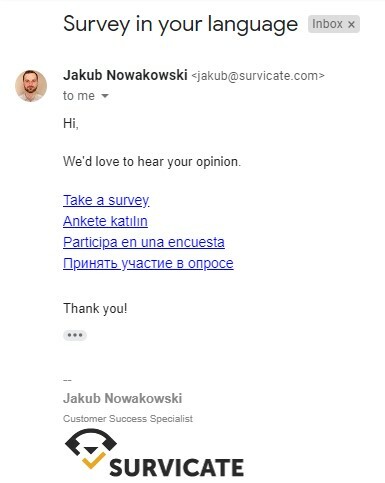 How to send email surveys in different languages? 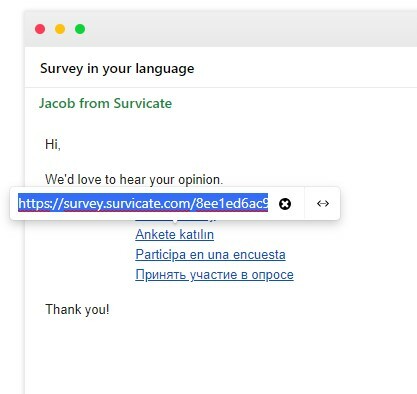 1️⃣ Create a separate survey for each language - results and analysis for each one of them will be kept separately. You can use data export or Google Sheets integration to help you analyze and separate them. 2️⃣ Create one survey - all responses will be available in one place. You can use data export or Google Sheets integration to help you analyze and separate them. From the respondent's point of view, answering the survey will be the same in both approaches. 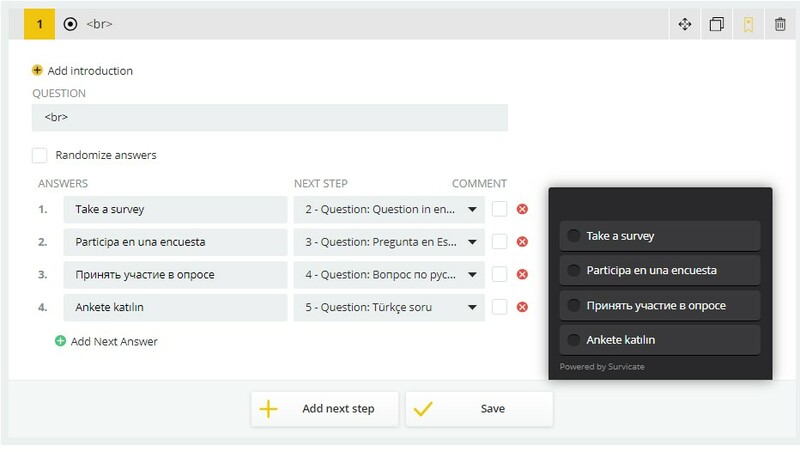 The first approach is to create surveys dedicated to each language. In your email, you will have to add a hyperlink to each survey. and hide it under a survey invitation text. The second approach is to create a set of questions in all languages in one survey. Use the first question to define the respondents’ preferred language. Set logic so your respondents are directed only to the questions in their language. It is a single choice question, so you can embed it directly into an email.